Update: Giveaway has ended, but you can still help spread the word! Did you know that in Africa, a child dies every 45 seconds from Malaria? Malaria is caused by a parasite that is spread through the bite from infected mosquitoes. There are more than 225 million cases of Malaria reported worldwide each year. And the disease is devastating. You can watch Pamela Abma's story about her experience with Malaria below. Pam was a missionary with Touch the World when she was bitten by a Malaria-infected mosquito on a mission trip to Africa. She fought for her life here in the United States with the most advanced technology available. But, the people in Africa do not have the advanced health care that we have to try to fight the disease. Now, there is something we can all do about it. ING activewear has designed a mosquito repellent hoodie that lasts up to 50 washes. You can see how it works in the video above 3:30 into the video. It's very cool! And the fabric is made for the climate in which it will be used. Whenever anyone buys a Moskeeto Hood-e, ING will donate one to a person in a Malaria-infested country. It is their hope to eventually reach every person in need. 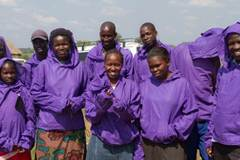 The event to raise awareness about these life-saving hoodies is called CODE PURPLE. It will be launching in New York City at Mercedes Benz Fashion week on February 16th. The event will feature unique collections from designers, special musical guest performances, a live auction, raffles and giveaways. The fashion show will feature designs that incorporate the same fabric the Moskeeto Hood-e uses. I can't wait to see pictures from the show to see the creative things that they've done. The fashion show will also focus on the color purple and people who are attending are encouraged to wear purple. ING Activewear--A company that began with a purpose of uniting the fashion world and philanthropy. The founder, Robin R. Crespo, wanted to design things that would make an impact and a difference in the world. Touch the World--An organization that was founded to get young people involved in the world around them through mission trips and other initiatives. TTW will be involved in the distribution of the hoodies. You can find out more by visiting any of the websites below. 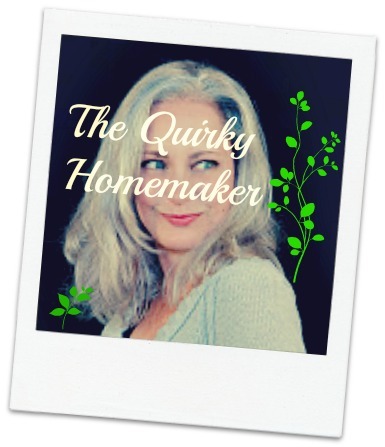 The blog is especially cool to visit! Congrats to Deanna for being the winner! 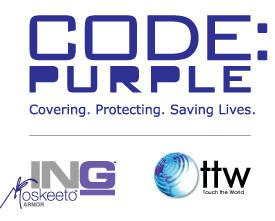 We are hosting a Giveaway for a Swag Bag from the Code Purple event. It includes a Code Purple TShirt and a Mood Fabrics Tote bag. 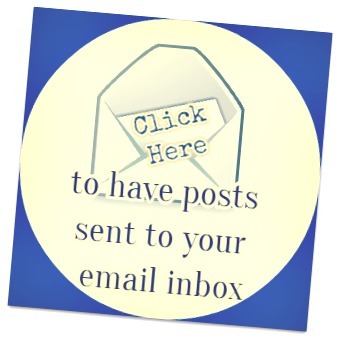 One person who tweets this blog post will be randomly chosen to receive a Swag bag. You can enter to win by Tweeting this Blog Post. Please list the URL to your tweet in the comments section below and make sure I have your email address. Thanks! And Thanks in advance for helping to spread the word about this wonderful life-saving event! Giveaway ends Wednesday February 13th at 11:59 PM.